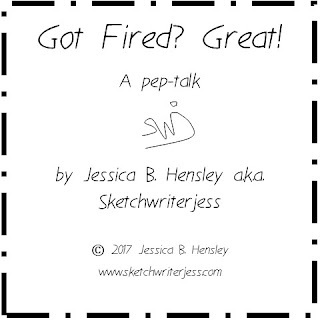 Got Fired? Great! 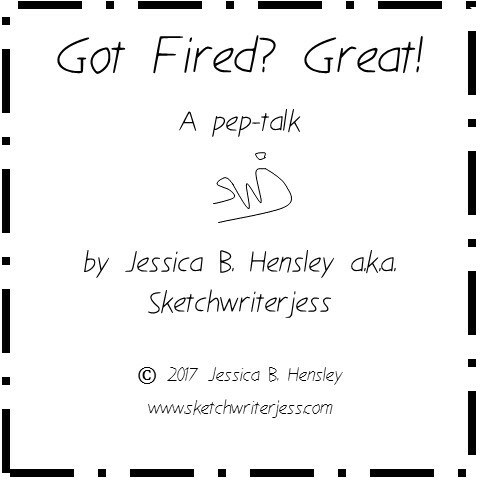 a pep-talk by Sketchwriterjess. I got fired from an architectural firm in 2007. Ever since then I’ve found it difficult to stick to finishing projects I start. 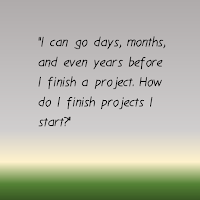 It’s a classic Bipolar symptom to go start many projects without finishing them. 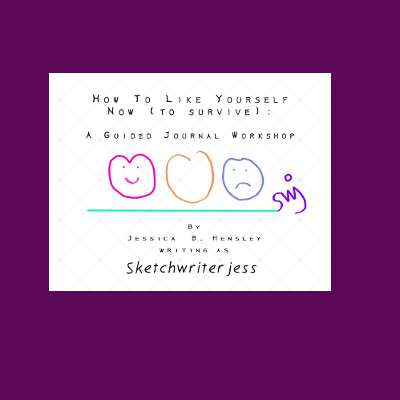 However, from talking to other Crafters, starting projects and ditching them is a universal habit. then your thoughts can become a mix-tape of haunting words and phrases that get stuck in our head like a song. 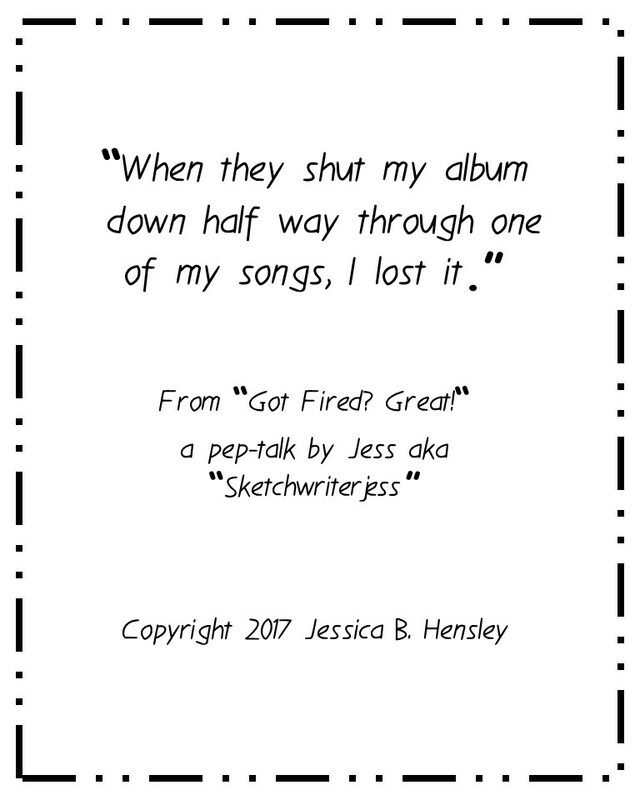 In 2007 I sat in a conference room begging my supervisor for a second chance to start over again on good terms. She had just yelled “You’re always asking for more work to do, I don’t always have work for you to do. The world doesn’t revolve around you!” at me in front of my other coworkers. I was shocked and they were too. For awhile, my office was the conference room. Then I had a cubicle in the office again so I thought everything had been fixed. I thought I had served my time in the Conference Room after the crime I committed. I was in for playing “Downer Music” in the office on Casual Friday. In one instant the music changed from a song by a British Band I enjoyed listening too, a song called “Your Eyes Open” by Keane, to a song called “Barbie World” by a band I don’t remember from somewhere I don’t know. It was quite a blow to my system and my ego. I felt personally attacked. My music was put on again about an hour later. Then it was shut off again half way through a song I loved, “Bedshaped”. 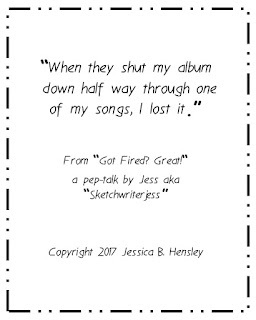 When they shut my album down half way through one of my songs, I lost it. I shouted “I’m pissed off that you did that” at the coworker who shut off the music halfway through. The boss was standing behind me. I asked if I could leave a little early, it was near the end of the day. His lips were curled up in a U. “Sure!” he said. Here I was again, in the conference room 2 months later. I had no email account and I went from working on the computer aided drafting software to sending paint samples by fax everyday, all day. My supervisor had stopped telling me anything about the projects she was working on. Sometimes if I was 5 minutes late, she wouldn’t talk to me until 3:00 p.m. Work started at 9:00 a.m. and went to 5:00 p.m. There were days I needed to buy coffee before I came in. I wasn’t crazy about the coffee at the office and it just helped me feel more independent, like I was owning my day even though I was working for someone else. I still had no idea that what happened the first week with the music argument was still relevant. My supervisor and I had just finished talking about how to work better together, I thought we had straightened things out. The door opened slow and quiet. “We’ve got to talk.” my boss said. He sat down next to my supervisor and started his wisdom drive. “When I was an intern, when my supervisor told me to stack the books, I’d ask how high. I did the work I was told to do, no questions asked.” He said and smiled. “Sometimes if you really need to say something and it could upset someone, perhaps you shouldn’t say it.” He said, wincing a little bit. “Life isn’t about your special coffee. We’ve all got to drink from the same pot.” He kept wincing. “I thought holding the Barbeque Office Party at my house would get everyone back to where they were before the incident happened, The one where you blew up at your co-worker about shutting off the music. But it hasn’t. This office still hasn’t recovered from that.” He shrugged. “Your work is marginal and you don’t have the personality to make up for it.” He winced saying that too. I started to sob. He just fired me in front of my supervisor. “Yes, if it hadn’t been for that incident, I would have been able to trust you with some of the projects I’ve been working on. You’re smart!” She said. “I think you are too.” Said my boss. “We like you.” Said my supervisor. “We must part ways though, but if you need to, you can work here until you find another job.” My boss said. I bolted out the door of the conference room. Still sobbing, some coworkers wouldn’t look me in the eye. Some coworkers jaws dropped open, and some, nodded to each other. “Hey you show up everyday, had no absences, that’s something to be proud of.” My boss had said as he entered the main office. I drove home, still sobbing. When I got home, I lay on my bed and wailed. I had never felt like I let myself and my family down so much before. I had quit a few jobs after similar incidents where I got mad and after 9 months people say, “maybe this isn’t the place for you.” But this was different. I have two college degrees, one a B.S. with a concentration in graphic design, and one that’s an Associates degree in Interior Design. I worked so hard to get through school and finish those degrees, and now, because of a personality flaw, I was no longer able to get a job. I did look for other Interior Design jobs, however the places wanted someone with more experience. About a week after the firing, Mr. “Barbie World” called me to ask me if I wanted my mouse pad sent to me. “It has a guy standing on a pointy hill and he’s about to fall off trying to reach the star. It’s weird.” He said. I said yes I’d like him to send it back to me. “Ok, bye.” He said as if he stopped aging. Both my degrees involved fine art classes and I loved the freedom of those. My teachers told me, “Design is fun, but it’s work.” That rubbed me funny. My mind started to race with thoughts. 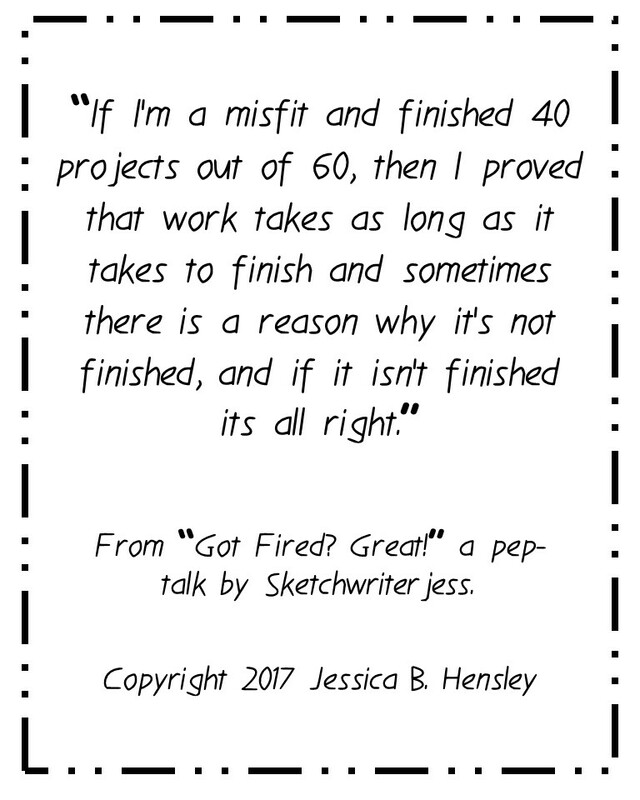 ‘It’s set schedules and appointments, it’s full of clients and colleagues who flip and flop so much before they decide how to finish something. ‘ It’s just like me’, I thought. ‘They’re in my head. 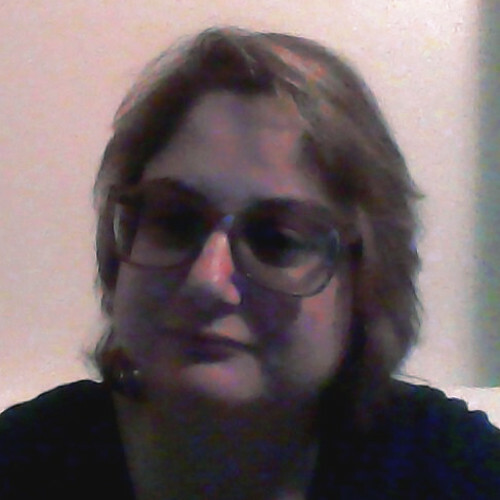 I want myself back.’ I went on disability and am still on it due to my Bipolar Disorder. However, I don’t want to be on it forever. 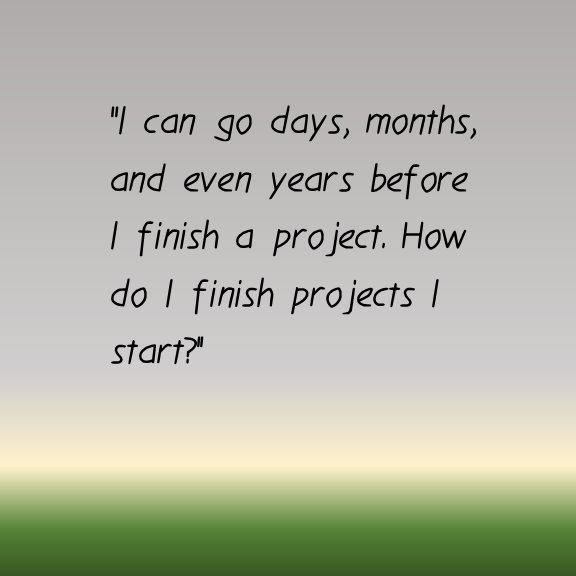 On my own, I started 60 art and craft projects and finished 40. Some of the finished items had deadlines, some didn’t. I even made a few sales and had been in a few art shows. But having unfinished projects started the mix-tape of Critics again. 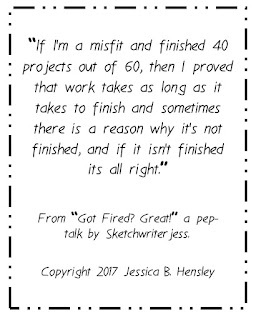 If I’m a misfit and finished 40 projects out of 60, then I proved that work takes as long as it takes to finish and sometimes there is a reason why it’s not finished, and if it isn’t finished its all right. And sometimes, one needs to quit or be forced to leave to find what they need to live the best life possible. Deep down I knew in my heart I didn’t want to put color on walls. I wanted the color on my paper and in my computer and in my music and my writing which I was doing the whole time while I was in College and while I was working. Now most of the time I use black and white for my drawings in pencil. I use other art supplies too. But my drawing, there is something raw and clear there. In color theory, black isn’t really black, and white isn’t really white. I keep that in mind when I use all colors. I have dozens of dreams that come true every couple of weeks when I finish things or try new things even if they don’t work.